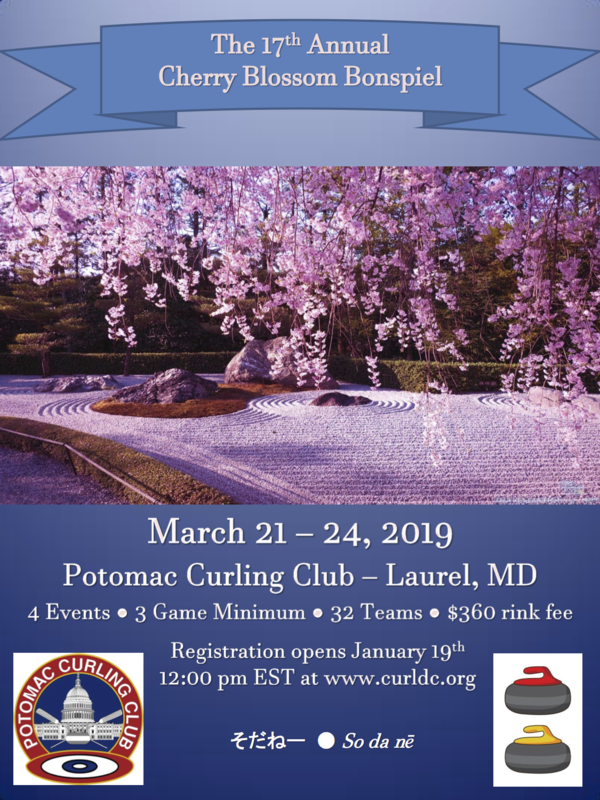 If more than 6 Potomac Teams register as the first 32 teams or in the first 24 hours (whichever comes first), then all Potomac Teams registered in that time frame will be placed in a lottery to determine which six teams are participating. If fewer than 6 Potomac teams register in that time, subsequent teams will be first come first serve. Registration deadlne to enter the lottery will be 11:59am on January 20th. Instructions: To book a room, Use the direct link above to get the special rate. Rate: They have set up a 10% discount so the larger rooms with king and queen size beds (Dogwood and Sycamore) are $135/night and the smaller room with a double bed (Willow) is $108/night. Instructions: To book a room, go to the web site,click "check availability" at the top, enter the check-in and check-out dates, click the "+" next to "special rates", then click "Promotional Code" and enter "Bonspiel". That will get you to the special rates.